Morgan James Publishing, 9781683504481, 184pp. A true pioneer in the human potential movement, Dr. Ken Druck has broken new ground in the psychology of men, parent effectiveness, grief literacy and now, successful aging. A regular guest on CNN, PBS and network news, lifeline to thousands after 9-11, Newtown and Columbine, resource to millions through social media and winner of the prestigious ?Distinguished Contribution to Psychology? 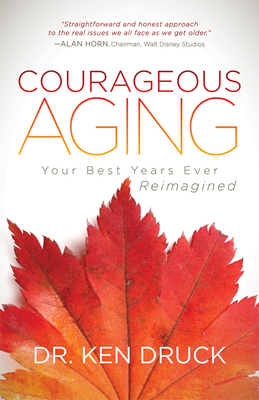 award, Ken Druck's new book, Courageous Aging: Your Best Years Ever Reimagined is winning recognition as one of the most important books on aging to ever be written.